Six Sigma is a high-level quality control process, management tool, and business philosophy. TwoPointO’s workshop will help participants to create a solid foundation and framework of leadership, communication, and culture-building skills, so Lean Six Sigma becomes instinctive in every aspect of your business. “TwoPointO delivered six sigma training to our management team, supplying us with the tools to drive decision-making methodically and analytically. Instruction included six sigma theory, teamwork and communication fundamentals, statistical analysis, and more. Hands-on projects made the theory and tools come to life. Are constant employee and customer issues causing a disruption to the daily operation of your business? Do unanticipated problems frequently impact your business operations? Will help you create an efficient process management system to accomplish even your most challenging business goals. During the training’s intensive sessions, students will work on real problems facing their companies. As part of the training, students will earn a Sigma Six Belt certification, a symbol of business excellence. A high-level quality control, management tool, and business philosophy which many of today’s cutting-edge companies are implementing. Lean Six Sigma will provide tools for highly developed leadership, effective communication, and culture-building skills as a foundation and framework. By the end of the workshop, students will have the techniques, skills, and strategic tools to launch Lean Six Sigma in their business’ daily operations to ensure regular constancy needed for long-term results. What are the benefits of Lean Six Sigma training? Six Sigma is a high-level quality control, management tool, and business philosophy. Most industries can benefit from Six Sigma implementation, but it is not for the faint of heart. 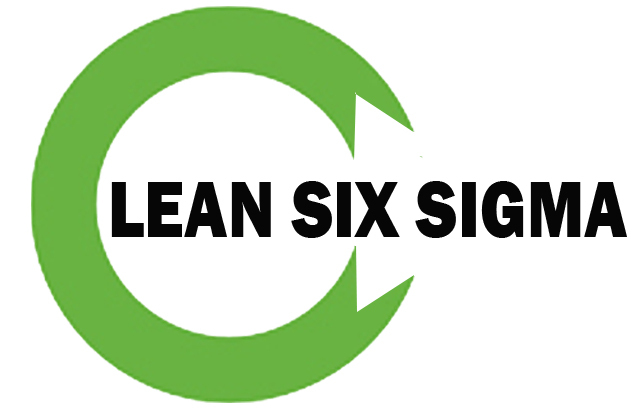 How quickly will my business see results from Lean Six Sigma training? Immediately! Throughout the workshop, students will be asked to try out training concepts in their workplace and keep a log on how well the implementation went. The workshop’s end goal will be for students to develop a customized operational excellence plan for their companies. ‍What is required to earn a Lean Six Sigma Black or Green Belt Certification? Workshop participants are required to complete ten days of training, participate in all class projects, and successfully complete a final project using MiniTab software. Registrants will receive a free 30-day trial of MiniTab. ‍There are five recognized certification levels for Lean Six Sigma – white, yellow, green, black, and master black. After earning a green certification, students have the ability to work toward earning the black and master black certifications. ‍Will the workshop be a lecture format? ‍No, the workshop will be a hands-on training filled with opportunities for students to immediately try out their new skills. Sessions will get started at eight o’clock and wrap up no later than 5 p.m. A one-hour lunch break on your own. ‍Where will the training be located? ‍The regional workshops are held in Charleston and Morgantown, West Virginia. Companies may also choose to hold private on-site training. ‍Will there be any sessions which require remote users to travel to regional workshops? ‍Yes, three of the later session require participant attendance. What is the main takeaway from the workshop? ‍By thoroughly understanding the steps necessary to create a system of improvement, participants will be able to improve their company’s business processes and increase cost efficiency. ‍Professionals seeking Green Belt Certification frequently have one of the following business titles: Owner, Financial/Business Analyst, Project Manager, Quality Manager, Business Development Manager, Manufacturing Process Engineer, Continuous Improvement Director, VP/Director of Operations. ‍Today’s business world is a constantly changing landscape and requires successful professionals to adapt and retool. By adding new valuable skills, you clearly demonstrate continuing commitment to your profession thus taking control of your career advancement and increasing your value to employers. ‍Customer needs, DMAIC tools, Operational Excellence, Process Mapping, Root Cause Identification, Soft Skills (effective communication & leadership), Statistical Analysis, Statistical Tool, and Sustainability. Each workshop session will introduce participants to new skills and ideas. Students will be asked to try out the concepts in their workplace and keep a log on how well the implementation went. Participants will share their results in workshop knowledge sharing discussions, thereby gaining a greater understanding of how Lean Six Sigma techniques can be used to improve different types of business situations.